p>Soak up Shoreditch?s edgy and offbeat atmosphere in a local bar, explore the world-class Tate Modern gallery, or steep yourself in history at Westminster Abbey; all with your trusted travel companion. Offering visually-inspiring content along with the most relevant, up-to-date advice on what to see and skip, and what hidden discoveries await you, this photo-rich, user-friendly guide makes planning fun and easy. Discover the best of London and begin your journey now! 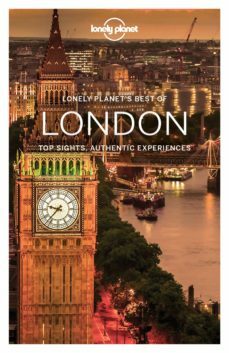 Inside Lonely Planet Best of London: ? In-depth coverage of the destination?s must-see sights along with hidden gems that most guidebooks miss to get you to the heart of a place.? Intuitively organized with essential information at your fingertips.? Eye-catching full-colour design and easy-to-use layout with maps and images throughout.? Annotated images that bring a destination to life.? Practical planning and transport tools including a fold-out map (included in print version) that gives instant access to must-see sights to help you navigate as you plot out your itinerary.? Short and extended itineraries help you tailor your trip to your personal needs and interests to make the most of your time on the road.? Insider tips and insights to save time and money, avoid crowds and trouble spots, and to get to know the destination like a local.? Honest recommendations for all budgets.? Cultural insights and background information to put top sights and experiences in context and to give you a richer, more rewarding travel experience (includes cuisine, art, architecture, history, wine, sport, and etiquette).? Free, convenient pull-out London map. Covers: the West End, Kensington, Hyde Park, Spitalfields, Clerkenwell, Hoxton, the South Bank and more.